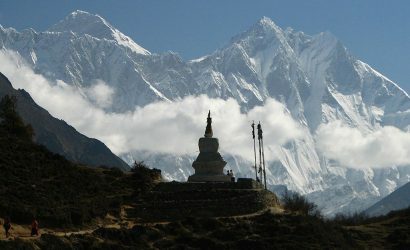 Everest region is among the most opted trekking destinations in the world. And, the Everest Base Camp via Gokyo Lake Trek is the ideal trek after the Everest Base Camp Trek. This is among the most exotic treks in the less-crowded virgin trails. This is a high altitude trek where you walk in off-the-beaten-paths across the typical Sherpa villages on the lap of giant mountains including Mt. Everest. On this trek, you first enter the Sherpa Homeland ( Namche Bazar) and gradually ascend to the stunning Gokyo Valley to the glacial lakes under Cho Oyu( 8153m). This trail offers the magnificent views of Majesty Himalayas including, Mt. Everest, Mt. 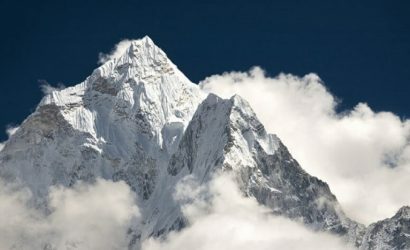 Lhotse, Makalu, Cho Oyu, etc. 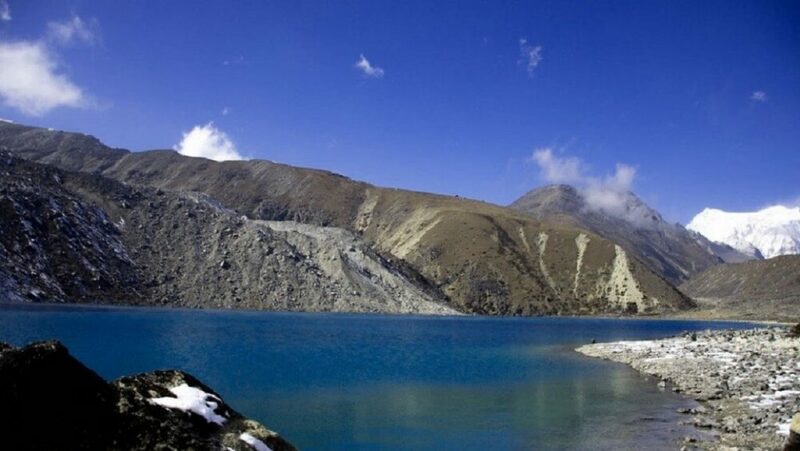 Plus, on this trek, you have the benefit of crossing the Cho La Pass (5,420 meters). Although you cross the high pass, this trek is easily doable by the person with average fitness and proper preparation. This is a moderate trek that takes you the mesmerizing Gokyo Ri- a famous vantage point for the Everest View from a different perspective. After encountering the glistening glacial lakes (4750 meters) in the Gokyo valley you follow the trail to Lobuche and join the popular Everest Base Camp trek route to reach Kala Patthar- the popular destination for the best view of Mt. Everest. This trek suits physically fit and passionate trekkers who are ready to face any challenges that may befall on the trail. And with Eagle Eye Treks and Expedition team, this journey will be more wonderful. 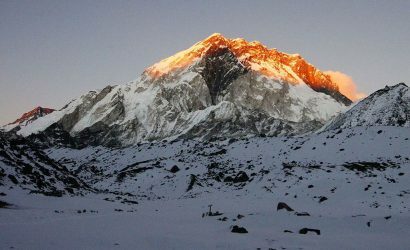 Our friendly and professional staffs will make the Everest Base Camp Trek via Gokyo Ri absolutely amazing. As you arrive in Tribhuvan International Airport Kathmandu, a Eagle Eye Treks and Expedition’s(EETE) representative will be there for your warm welcome. And will accompany you to transfer to your hotel. The evening will be for a welcome dinner with EETE Team in one of the typical Nepali restaurants of Thamel. An easy trekking day. After breakfast we slowly step up to Kyanjuma Village, passing beautiful stupa with the nice view of Everest and Lhotse at the background. After reaching Kyanjuma we turn off the main trail and begin climbing to the Mong La, marked by a chorten on the top of a ridge at 3972m. This ridge descends from Khumbila, the abode of the patron god of all Sherpas. From the ridge, the trail descends in a series of switchbacks towards the Dudh Kosi. At Phortse Tenga, the trail starts to climb steeply out of the valley and we enter the rhododendron forests, which give way to juniper and conifers higher up the valley. 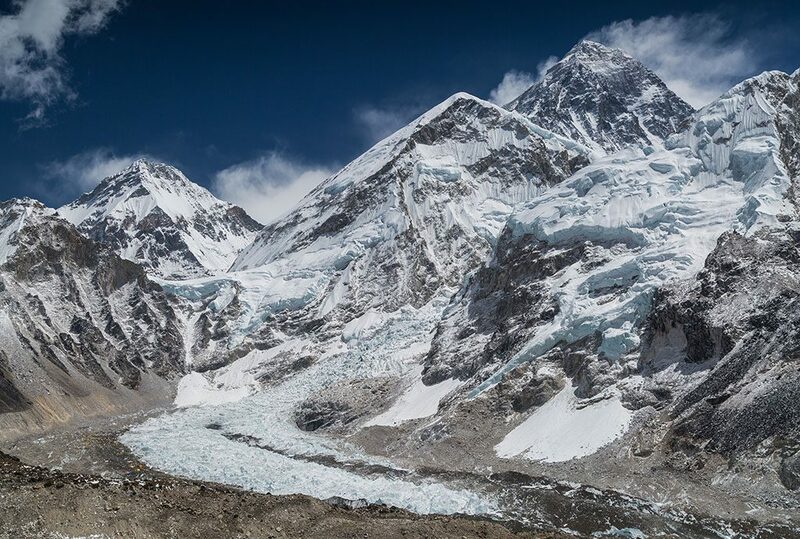 We pass through many kharkas, summer settlements used by the Sherpas to graze their yaks, before coming to Dole (4040m) where we have magnificent views of Khumbila and Tawoche.(aprox.7hrs)(O/N). Our the day starts with climbing a ridge for an excellent view down the valley to Kangtaiga and also up towards Cho Oyu (8153m). The valley now widens as the trail passes through Pangkha then descends to the riverbank before beginning the steep climb onto the terminal moraine of the Ngozumpo Glacier. Here we pass the first of the lakes at Gokyo where a family of Brahminy ducks reside and then follow the level trail to the summerhouses and walled meadows of Gokyo.Where you can find a small settlement of lodges on the shores of a blue lake. 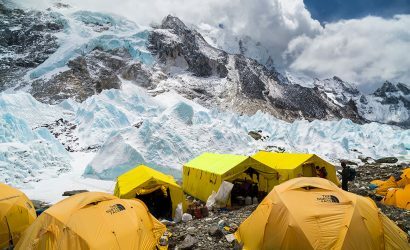 At afternoon, we will walk up the hill behind camp to take magnificent views of the Ngozumpo Glacier. Overnight at the teahouse. We start trekking this day earlier than the previous day. Today we ascend up a small peak called Gokyo Ri, which just above wonderful Gokyo Village. As we step forward to Thangnak, the views come even closer and seem more fantastic. 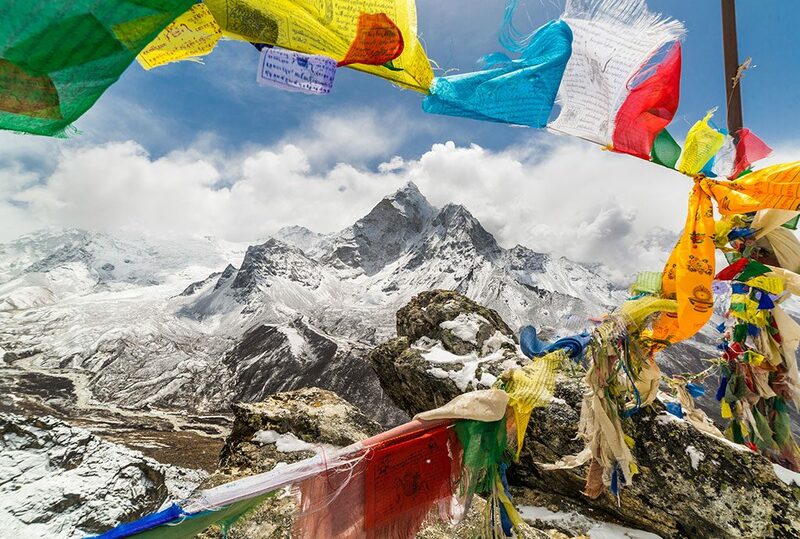 We can view four of the seven highest peaks in the Nepal Himalaya Cho Oyu, Everest, Lhotse and Makalu. Stretching out for miles below us is the longest glacier in Nepal - the Ngozumpo glacier, which tumbles down from the slopes of Cho Oyu. One of the best all round views in Nepal, the climb is well worth the effort. We return to Gokyo for lunch. Midafternoon we retrace our steps to the second lake and climb to the crest of the moraine overlooking the Ngozumpo glacier. The route across the glacier is well marked with cairns and takes us to the eastern side of the Gokyo Valley. Overnight at Tangnak (4700m) the foot of the Cho La Pass. 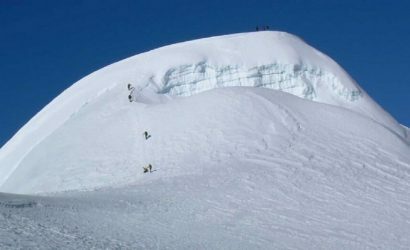 Day to pass Cho La(5330m).With the early start, we climb up from Tangnak and approach a large boulder field. Beyond this ancient moraine, the climb to the pass is steep in places, involving some easy scrambling. The upper part of the route can be snow covered, particularly after November. 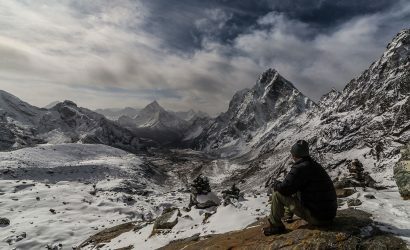 The challenging pass offers some stunning views of including an unusual aspect of Ama Dablam. The descent from the pass involves the crossing of a small glacier (usually snow covered) which is fairly straightforward. We descend steeply to the grazing pastures below, the trail becoming more defined as we approach Dzongla (4830m), where we stay tonight in a very small basic lodge. Today we take a short early morning flight from Lukla to Kathmandu .Upon your arrival in Kathmandu, your guide will help you to transfer to your hotel. You will have a free time for shopping around Thamel. The evening will be for farewell dinner with EETE team. Day to fly back home, say Namaste for memories that will last a lifetime. A EETE representative will accompany you to get Airport for your departure or Onward for Next Program.